A few months back we had a really bad few weeks with Ted's bedtimes and I thought my toddler had broken me. 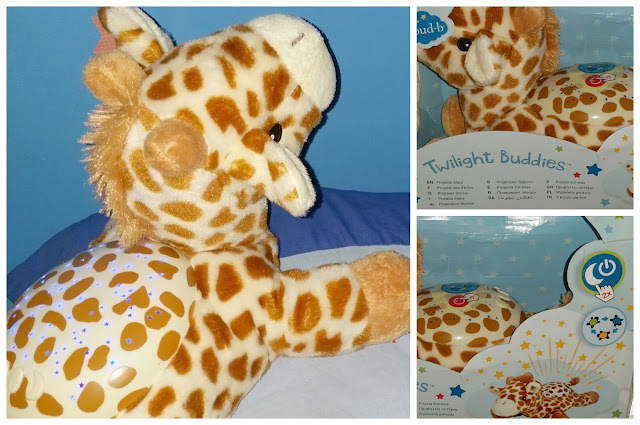 We were searching for anything that would make our lives a bit easier and were sent a great toy from Cloud-b called the Twilight Buddies Giraffe. 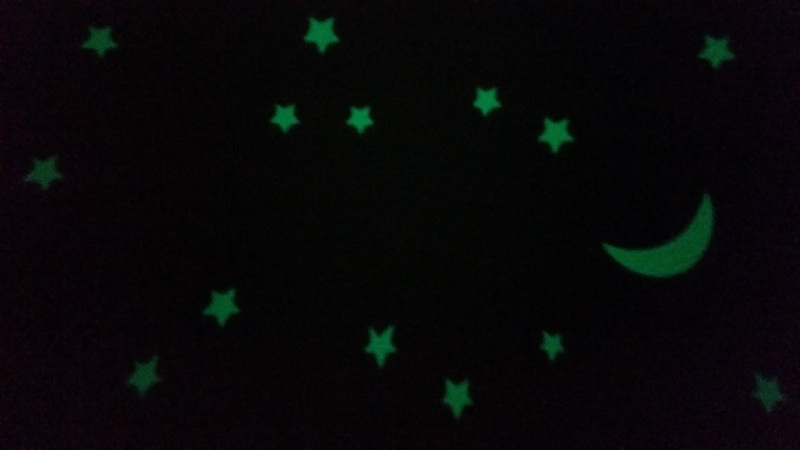 It is an adorable little nightlight which projects stars onto the walls. Glowing light changes from Blue through to Green and Amber too! This snuggly little fella aims to ease your child's fear of the dark and projects real constellations. 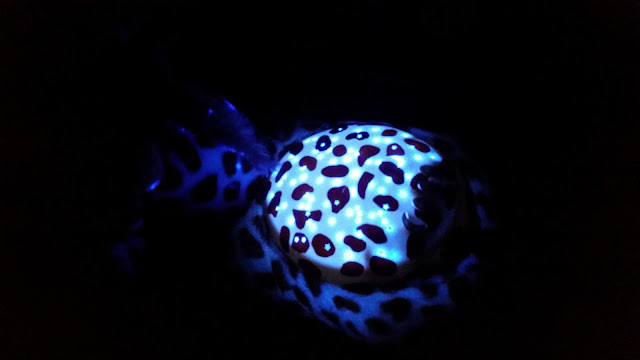 He has a 45 minute timer so that it isn't going all night and runs in a cycle of 3 different colours (Blue, Green and Amber). This wasn’t the answer to all of our problems unfortunately as Ted really wasn’t bothered about laying and watching the stars to help him get to asleep. He still takes over an hour to go to sleep at night but on a plus side he rarely wakes in the night which is brilliant. I mean we have the occasional 3 o’clock wake up once in a blue moon (we literally have a blue moon now too!) but most nights he wakes up with us at 6.30-7.00. The Twilight Giraffe is really just a new toy in Ted’s mind. He likes watching the stars but they don’t have the soothing effect we had hoped for which is a shame. He loves pointing out the different colours and we hope as he gets older we can start to show him the constellations which will be a nice calm bedtime game. For us the soft glow helps when we are putting him to bed as we would normally have the landing light on which is quite bright. Unfortunately as it lasts for 45 minutes we get a harsh reminder of how long it takes Ted to settle at night! After lots of “I need milk”, “I have a tummy ache”, “I need to go to Nana’s”, “Daddy cuddle me!”, “Pweeeeeease me come downstairs! ?” we then hear “Oh my lights finished!” and that’s it another 45 minutes have passed! I think this is likely to work for a lot of children, Ted is particularly stubborn but most children would feel calmer just having a nightlight in the room. This makes a nice little gift and the Twilight Buddies come in lots of designs including the original Twilight Turtle. *This product was sent for a review but all opinions are my own.